Just reading the title of this game, I had no idea what to expect and figured this was a narrative tale, probably a passive one where, at best, you may make some light choices to help push the story along. What this game actually is, is a reality bending puzzler, tailor made for VR and delivering some ridiculously fun use of scale. 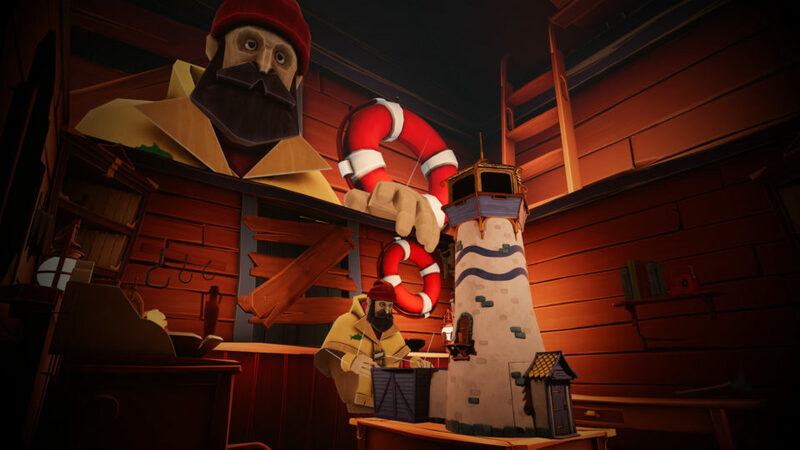 You play as a wooden Fisherman, think a toy, who is tasked with manning a light house. Performing the same routine everyday just the way you like it until one day, when something strange happens. That’s you looking at you looking at you! This is a first-person puzzler, so you are going to need a couple of tracked motion controllers to navigate the games stages. Like any ‘sim’ type game you can grab objects, throw them, turn them or place them where they may be needed to perform a specific task. Your arms can extend out with a press of a button, allowing you to reach and place items out of range, removing the need to fumble around in the real world, possibly losing tracking if you are on the PSVR side of things. Teleportation is the only way to move around the lighthouse but given the relatively small areas you will be in it’s not awful by any stretch and fits in line with many other puzzlers we have gotten in the past. The name of the game here is to go from room to room in the light house to get to the top to turn the light on for reasons I won’t ruin in this review. What makes Fisherman’s Tale oh so special is its incredible use of scale. You play as a fisherman in a lighthouse, but your lighthouse is inside a giant replica of your lighthouse and in your lighthouse is a tiny replica again, and whatever you do in one affects the other. As an example (*tiny spoiler*), I needed to grab a life preserver for a friend I met early on and the one on my wall was way to big as he is a tiny guy. The solution was to grab the tiny version in the smaller replica and doing so causes the giant version of myself to grab my own ‘normal’ sized preserver, removing it from my lighthouse. It’s sounds more complicated then it is, but the core gameplay is using the right size of item to solve a puzzle by interacting with all 3 different sized worlds. No matter which headset you play this on, the game looks stunning. The visuals are on the cartoonish side of things but carry an excellent amount of detail and the bright colors used just make the game pop. The game takes place over only a handful of stages within the lighthouse, but each feels and looks very different from the previous ones and offer their own unique scale-based puzzles. Interactions with the environment are great as grabbing both tiny and giant objects is a joy to watch with the overall polish being some of the best available in VR. Interspersed between each stage are some cut scenes which elaborate on the story and your motivations. A later stage on the ocean looks stunning and while the level of detail may not photo-realistic, riding a boat on a stormy ocean was a harrowing experience, nonetheless. The puzzles always stay fresh. I loved this game and was so sad when it ended so quickly. The campaign took me around and hour and half to get through, without hints on, so If you can make do, I would say play the game with hints off and avoid any 1st impression vids. The puzzles aren’t overly hard, so I’d recommend trying to figure them out on your own before you rely upon in-game clues. Every puzzle is scale-based so as long you pay attention to your surroundings, the solution will always be present and nearby. I did run into some collision detection issues and a few moments where the scaled objects were hard to grab or interact with, but these never held me up for more then a few extra seconds. I really loved the use of scale and it tickled me pink to see both tiny and monstrous versions of myself as I moved around this contained world. 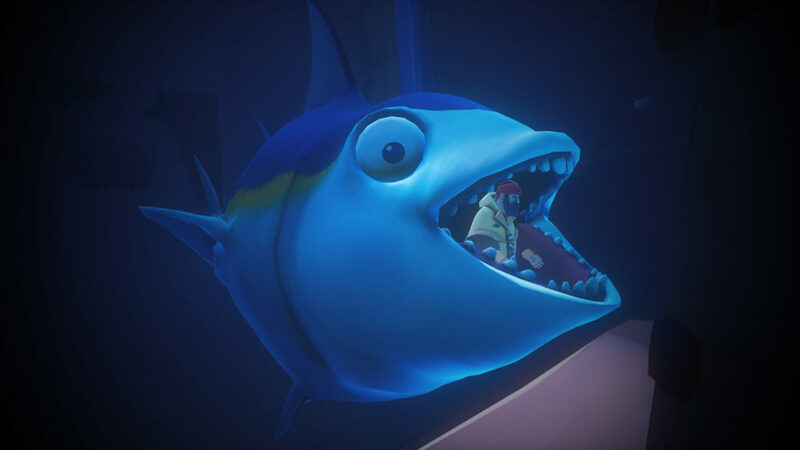 The length may be a little off-putting to some, but the quality of the puzzles and simple story more then makes up for any shortcomings and as much as I want more out of a Fisherman’s Tale, it never once wore out its welcome and from beginning to end I was very entertained. Are you really small, or is the fish really big? A Fisherman’s Tale is yet another VR gem that just couldn’t work outside the headset. The puzzles in here are unlike anything else I have played in before and, while they aren’t the most challenging, they are still so entertaining to play through. If you love puzzles, you’ll like A Fisherman’s Tale. 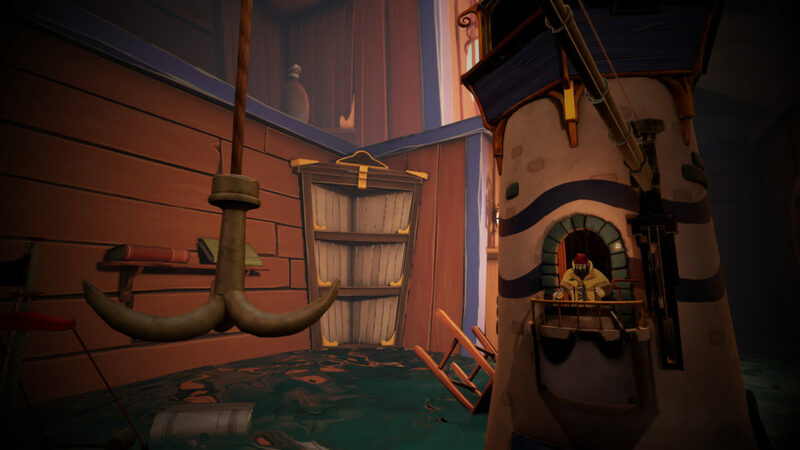 If you love story telling, you’ll like A Fisherman’s Tale and if you love VR then you will LOVE A Fisherman’s Tale. It really is something to experience! What would I pay? The $15 asking price is an easy ask and a great price point for the length of the game. 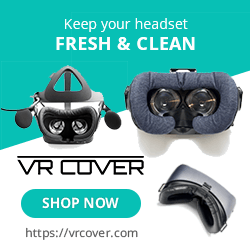 Add in the thoroughly unique puzzles and incredible use of VR and you are getting more then your dollars worth! Vertigo Games provided The VR Grid with a code for this title and, regardless of this review, we thank them for that!